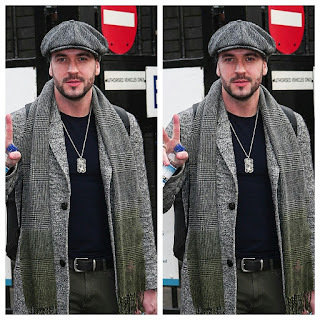 CHECHESMITHNATION : Shane Ward Looking Suave! Shane looked dapper in grey and matching flat cap...you like? Correct guy... looking good.. this is what am talking about, I love it!